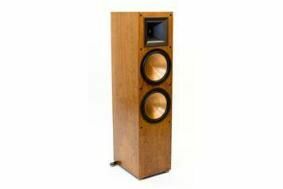 US NEWS: Klipsch introduces Reference II series speakers | What Hi-Fi? There are 17 new series II models, ranging from the RB-41 II bookshelf speaker to the RF-82 II floorstander. Klipsch has re-engineered the drivers and added a new crossover to all models, and continues to use the firm's proprietary Tractrix Horn technoology. "Each model offers the precision, clarity and effortless power for which Klipsch is known," the company claims. The new range has several cosmetic upgrades, including new black metallic finished baffles and machined Cerametallic woofers. We're awaiting confirmation of UK prices and release dates.